This course is for 2 full days and you must be able to attend from 9:00am to 5:00pm on both days. The usual cost of this 2 day training course is £300. The Charity for Civil Servants will be running the training at a significantly reduced rate of £100. Please only book on the course once you have discussed with your line manager and know that the cost of the course will be paid in advance. Important: This event is only for people who act as Mental Health First Aiders (or waiting to become one) in your Department. You will need your line manager’s approval that your department will pay the cost for the course and any travel / accommodation. Please check your department's policies towards MHFA (or equivalent) training - some areas of the country and some departments have their own arrangements for describing and training in Mental Health awareness and support e.g. MH Advocate, Ally, Ambassador, Buddy or Champion. Your department may have its own training courses or programme in place. At some point in our lives mental health has affected us all. It affects how we feel, how we think and also how we behave, but do we recognise the symptoms in order to manage and deal with mental health effectively? 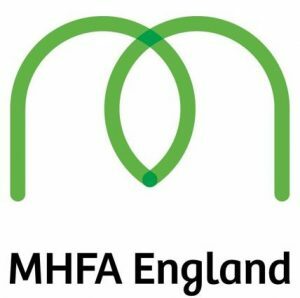 Mental Health First Aid England has approved Kath Cheer and Paul Horsman from the Charity for Civil Servants to deliver adult MHFA courses. This 2 day internationally recognised course is open to any Civil Servants and will teach you to recognise the symptoms of mental health issues, provide initial help, and will also provide information on how to guide a person towards seeking appropriate professional help. Please note: This event will only hold up to 16 people so it is recommended you book early to avoid disappointment. Would help if payment details were added so a purchase order could be raised and payment issued. Thanks for your email. I didn't want the form and details to be available directly as I didn't want the Charity to be inundated with forms directly so the system was put in place to reserve a place. All the delegates who reserved the places on the course will be receiving the form directly to their gov.uk email today for completion and to send to the providers. Paul, This course is now full. Is there a plan to run any more of these courses in Manchester or across the North? The Charity for civil servants only put on 12 events a year for CS Local at this reduced rate. This means that they only appear in each region every 6 -8 months. The best idea is to keep your eyes on the National blog and as any events are announced they'll be posted. If you sign up for notifications to be received to your email from the Blog you'll get the information direct hot off the press. are there any plans to run more of these courses? The Charity for civil servants put on 12 events a year for CS Local at this reduced rate. This means that they only appear in each region every 6 -8 months. The best idea is to keep your eyes on the National blog and as any events are announced they'll be posted. If you sign up for notifications to be received to your email from the Blog you'll get the information direct hot off the press.